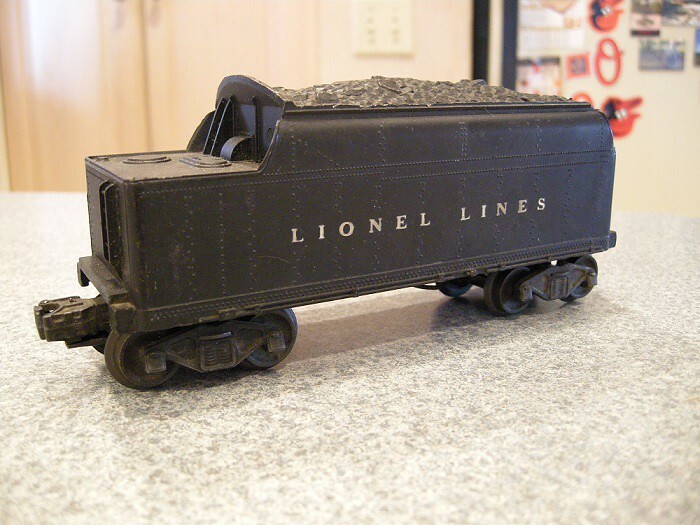 I had several of the S gauge versions of this, in "boxcar red" (rust brown) and in black both. Nice sturdy little cars. I think I'm going to use the 2034 as the loco for a set I'm going to put together for my niece's son who seems to have a bit of the train bug. I was going to use the 6466W with the 2034, but now I think it's not a good match (a bit on the heavy side with that whistle). 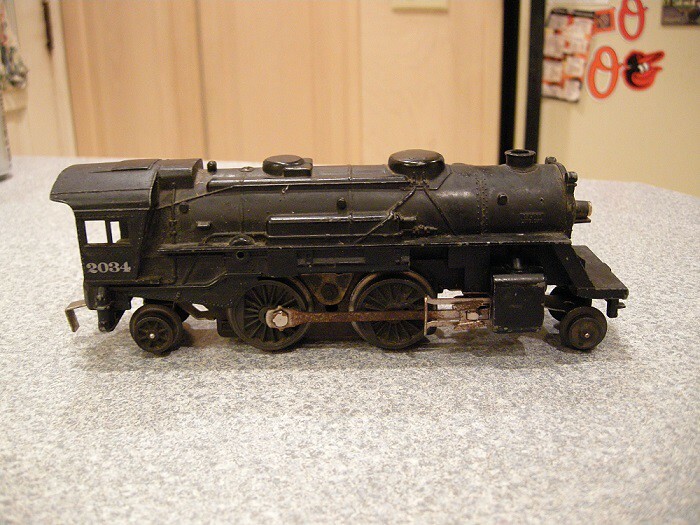 The 2034 catalogued with a 6066T tender which would be quite a bit lighter. That'll make a good thing to watch for at Spring York in April. The 2034 was one of the last of the "Scout" line. Made for one year only (1952), the 2034 features a metal frame motor and a 3-position e-unit (most of the later Scouts had a plastic motor and a two-position forward-reverse unit). The 2034 looks a bit more durable. I'm wondering if the peculiar assortment of components that went into the 2034 were a result of material shortages during the Korean War...maybe. Anyway, a good cleaning and lubrication in order.